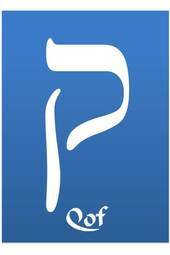 Yom Kippur is almost here: It is the Day of Awe. It is the culmination of a 40-day period of reflection and repentance, which (if and only if we take it seriously and personally) can leave us feeling cleansed and renewed. But it takes work, hard work. All year long we puff ourselves up in an attempt to impress our bosses, dates, prospective employers, those with whom we communicate on Facebook, and everyone else. Yom Kippur demands that for one day we strip away this puffery. And so I look deep into my soul and ask: Why did I do the things I did? What was I really hoping to accomplish? Did I want to help others? Or did I want to aggrandize myself? Can the two desires be congruent? God commands me to struggle with tough questions. There is no place for pretense on Yom Kippur. And so, I ask: Why does it mean so much to me to be introduced with the words: “This is the first time a rabbi has ever given the sermon in the history of this church?” I guess I want to matter. I want my words and my presence to be important. But who cares, really? I give a sermon, people react nicely, and I am gratified. But so what? Does anything really change? I hope I leave a lasting impact, but I also look for approval. I feel good when I finish, but the good feelings fly away quickly, and like an addict I look for more approval. I struggle: Will I ever truly rejoice in others accomplishments instead of feeling jealous of them? There will always be those better known and, in conventional terms, more successful. Why can’t I, as Rabbi Simeon ben Zoma advised nearly two millennia ago, rejoice in the abundance of blessings life has showered upon me. Yom Kippur urges us to imagine our death, and to tailor our actions accordingly. Time is short for all of us. The Day bids me to ask: Am I spending my precious time and energy as I should? Does my life really matter? What can I change to insure that it does? Will anything but my death stop my yearning for approval? These questions are especially acute and probing for me as I prepare for Yom Kippur in the midst of our ten-week stay in northern Germany. Yes it is an exciting adventure, but what are my motives for coming? Are they really just the opportunity to teach in the place that symbolizes our people’s greatest tragedy about the tradition I love? Here is my hardest confession this Yom Kippur. Yes, I want to give, but I also want to receive. I want to be better recognized. I want my presence here to help me sell more books because I believe passionately in the value of the book that has been in my soul for forty years. But to some extent—even though I know I shouldn’t–I will measure my sense of self worth by how many copies of What’s in It for Me? I sell. There! I admitted it. I wrote the damning words for anyone interested to see the unvarnished truth. I resist the impulse to take them back by pushing delete before it is too late. And so I confess. I embrace that part of me which is self centered and egotistical. I do not ask God to uproot what is part of my nature. I pray to use those impulses for good. Help me, Eternal One, please, to care more about what I am doing for others than what I am doing for myself. This is your most freeing blog ever. We all have desires, especially Rabbis and Cantors, to be recognized, to be needed. That is why we chose the field that we are in. We want to be loved for our minds and the way we interact with people. We all “want our names” to be recognized. During my years at HUC-JIR I was voted by Rabbis Larry Hoffman and Eugene Borowitz as Rabbi of my generation. It was a thrill but I have not been on a bimah in several years. Most of my colleagues, especially men, are seniors at large congregations. That is never where I wanted to be. I still desire recognition for my accomplishments but their meanings have changed. I want to finish my novel and sell it to rave reviews, I want my children to succeed. I want to leave a legacy of respected compilations of my sermons, of my work, but more than that I want my grandchildren to be proud of me and tell stories of my life. Thank you so much, Renee! I agree with your assessment because as I was writing this, I felt like I was stepping off a ledge. I said to myself, “Why are you doing this? People will think you are some sleaze ball freak.” But it was freeing. I will embrace those parts of me and hopefully in so doing, do some good. May you be sealed with blessings in the book of life, health and joy! I am so grateful that you are my friend! Thank you, Rabbi S. Fush her exposed. Wow! That was awesome and freeing. You are an honest person. And you are doing exactly what I believe the Almighty wants us to do on these days. You are a better person for it. Seeing you write this helps me in my own personal journey. Thank you, Lisa! If it is helpful to you then the effort and anguish that went into this essay is worthwhile to me. I appreciate the honesty of this post. I think we all have dark thoughts and desires, but we let them live by not addressing them. I like the last paragraph about embracing our selfish side and asking God to work in us so that we may turn our love to others. Stephen, I have connected more with this post than any other you have written. I know that peeling away layers is scary. I know that offering oneself up to be ridiculed, scrutinized and soul-chaffed is not ideal. But there is such release in That place: the place where we are laid bare, emotionally stripped with hearts flayed open. I think you have anchored deeply into the core of who you are. And those wantings you speak of: they are like fire, extinguished without the oxygen of pride and longings for Self. May God filter in and through those soul scars (which we all have). And may he purify your sacred places through word, deed and Truths yet to be seen. Rabbi, words are difficult to find. Concepts are abstractions and hard to describe, but I’ll take a crack at it. In my experience, self analysis and self-criticism are useful, but only to a degree to keep one on course for a fruitful, useful and productive life. My sense is that the self-analysis needs to be tempered by a sense of confidence informed by the road traveled, barriers overcome, problems solved, successes and failures, Preoccupation with agonizing introspection may border on narcicism and gets in the way of spontaneity, “paralysis by analysis” and “best is the enemy of good”. Seeking personal success is not “selfish”. Success enables the family and provides a broader, wider, longer reach,.. the ability to effect greater benefit affecting more people – -your book. Steve, you are among the most selfless, giving, reachable, open & truly loving people I know. I, my children and through them my grandchildren have benefited from being in your “sphere of influence”. I will always be grateful. I know that scores of others share the same experience having been touched by you. Have confidence that knowing the person you are, your motivation is, I think, less important than the outcome.. In a previous discussion I imparted some “wisdom” imparted to me after transiting a hugely stressful situation purposely imposed to test me. “Expend less effort trying to improve those things that you may not be suited to do well,…magnify and continue to improve those skills & talents that you have been given”. You have a God-given talent, a rare skill. Use it with a clear mind. .
Dave, I am so very grateful for this! Much to think about here, and I will certainly ponder and give it its due. I so appreciate this thoughtful response! 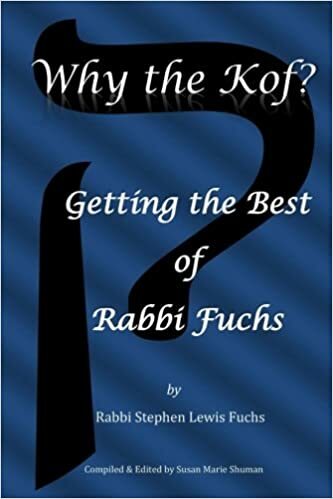 As Rosh Hashanah ends and Yom Kippur approaches I am reposting this essay which drawn deeper reflections from readers than any of the other 210 essays on http://www.rabbifuchs.com. It still makes me wince when I read it. Have I made progress in this area during the past year? Maybe a little, but surely not enough. And so I pray as the Day of Atonement draws near: “Help me, O God, to distinguish between that which is real and enduring and that which is fleeting and vain. Thank you Rabbi for your humanity… And for this essential reminder to strip ourselves bare to get to the fundamentals of living, as images of G.d. Thank you, Susan! This was hard for me to write last year and harder still for me to repost this year. But if it speaks to yearning souls like yours in a a meaningful way, I am happy I did. Jean, I love the word “synchronicity!” Discovering these commonalities and parallels is a joy for me, I love your sharing the depth of your struggle in your post, and as I noted on your site: It amazes me that we take care of our children for so many years,and then all of a sudden they are the ones taking care—in most meaningful ways—of us.